It looks like there aren't any distributors in your country. Always use Neato Genuine accessories when you need to replace your battery, filters, or brushes. 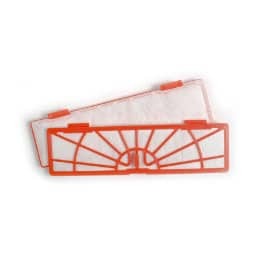 Neato Botvac™ filters are extra large to capture more dirt and debris than other accessory vacuums. Keep your home clean by changing the filters frequently – once every month or two, depending your usage. They are easy-to-change – just pop out and replace. Compatible with Neato Botvac Connected, Neato Botvac Series and Neato Botvac D Series Robot Vacuums.